I have a MacBook Pro 2013 with two hard drives. One of them is the original MacBook’s 500 GB HDD drive and I have extra SSD drive that I installed instead off cd rom. 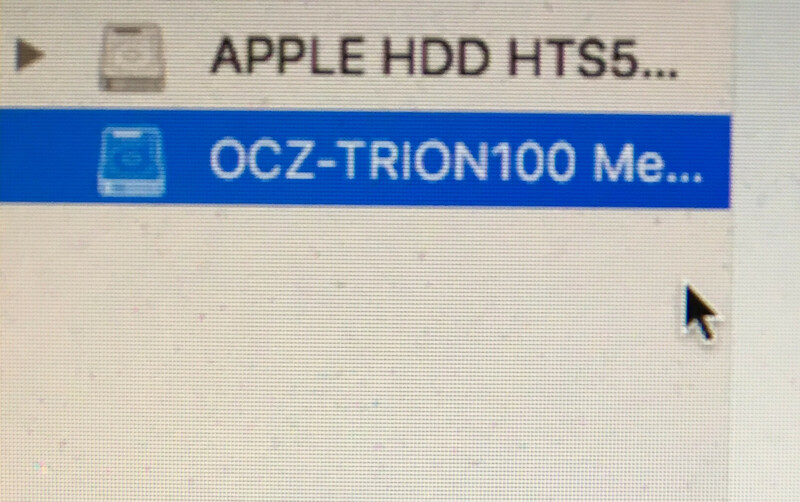 Mac OS is installed on both of drives but I use SSD as my system drive. Today I started to install the new macOS High Sierra on the SSD system drive and after the first reboot the Mac showed a progress bar that wasn’t moving for 15 minutes. So I made reset (holding power button). Now my MBP restarted from HDD and I can’t find my SSD in Disk Utility. It is hard to say how I am worried now about data stored on SSD. What should I do to finally boot from my SSD safely without loosing data? You should know that updating to High Sierra normally means to a change in the used disk format. (Apple introduced APFS for macOS High Sierra which will be used instead of HFS+). If you now updated the system on your SSD the SSD will probably be formatted as APFS and therefore the older version of OSX won't be able to read it's content. Not the answer you're looking for? Browse other questions tagged disk-utility boot ssd bootable-disk high-sierra . Can't log in as user. SSD drive from broken macbook inserted into a new macbook. Why does macOS Sierra freeze after installation?